Very Good. 059610197X ALL BOOKS SHIPPED WITHIN 1 DAY OF PURCHASE! Very Good. Trade paperback (US). Glued binding. 658 p. Contains: Illustrations. Head First. Helps to learn HTML so that you can create Web pages and communicate effectively with friends, family, fans and fanatic customers. Using the research in neurobiology, cognitive science, and learning theory, this book provides information on HTML, CSS, and XHTML. Good. Trade paperback (US). Glued binding. 658 p. Contains: Illustrations. Head First. Helps to learn HTML so that you can create Web pages and communicate effectively with friends, family, fans and fanatic customers. 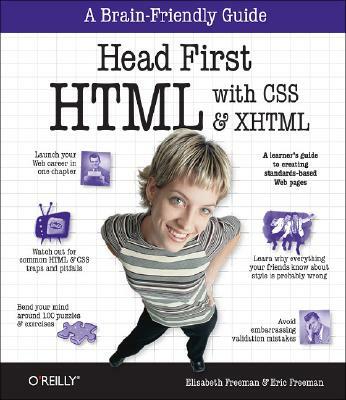 Using the research in neurobiology, cognitive science, and learning theory, this book provides information on HTML, CSS, and XHTML.